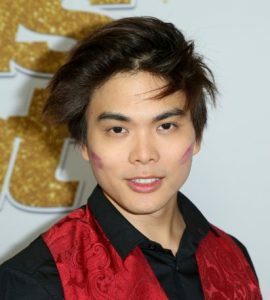 Shin Lim is a Canadian-American magician and the winner of the 13th season of America’s Got Talent. He is known for his incredible smoke-and-card tricks. He previously appeared on Penn & Teller: Fool Us. Born on September 25, 1991 in British Columbia, Canada to Singapore-born parents, he grew up in Singapore. He is of Han Chinese heritage, and is the second of three children. He attended Acton-Boxborough Regional High School. Following his high school graduation, he attended the School of Music at Lee University in Tennessee. He first appeared in Desperate Acts of Magic in 2013 as a young magician on the magic competition convention. He is engaged to Australian dancer Casey Thomas. Siblings: He has two brothers, one younger and one older. *He was born on September 25, 1991 in British Columbia, Canada. *He is a World FISM (Olympic) Champion for Close-up Card Magic. *He won the 13th season of America’s Got Talent in September 2018. *He is the second magician to win America’s Got Talent after Mat Franco.